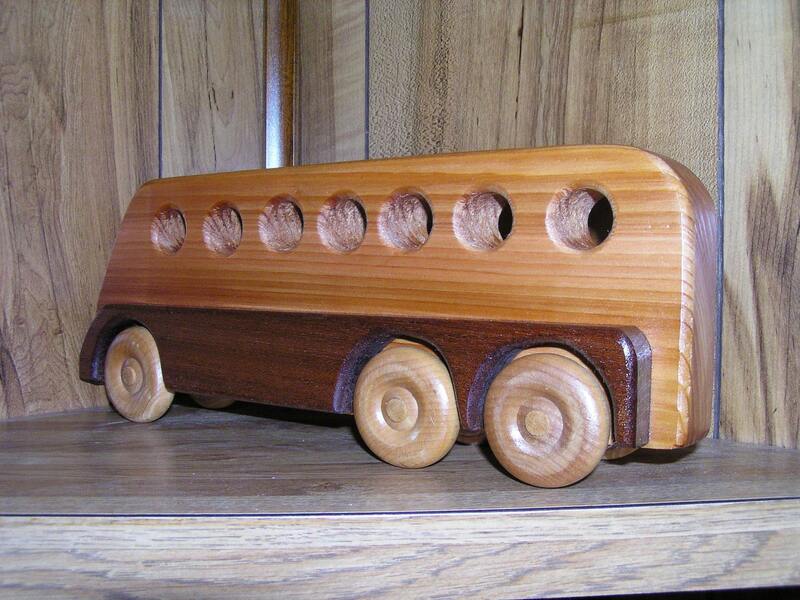 GREAT STOCKING STUFFER *** THIS BEAUTIFUL SCHOOL BUS IS HANDCRAFTED FROM SELECT CEDAR AND BLACK WALNUT EXOTIC HARD WOODS. 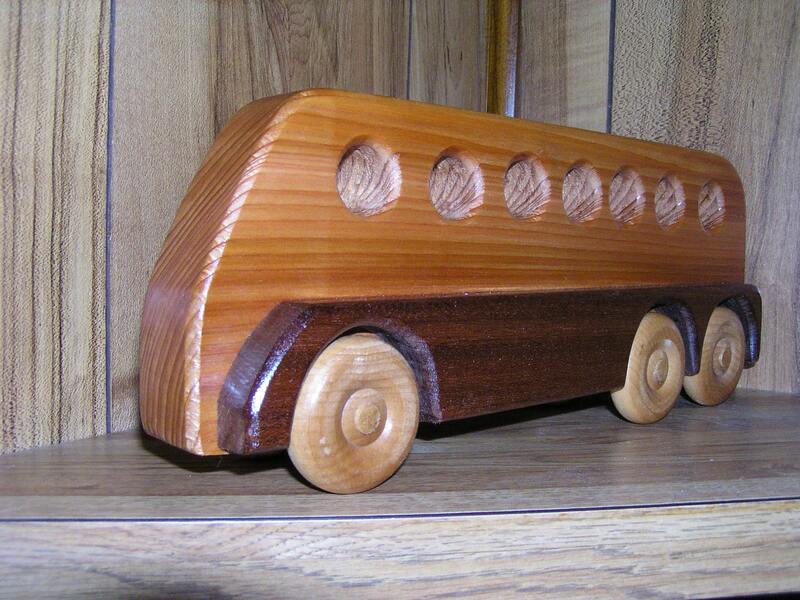 YOUR CHILD WILL HAVE TONS OF FUN TRANSPORTING LITTLE PASSENGERS TO AND FROM SCHOOL - INSPIRING YOUNG IMAGINATIONS. 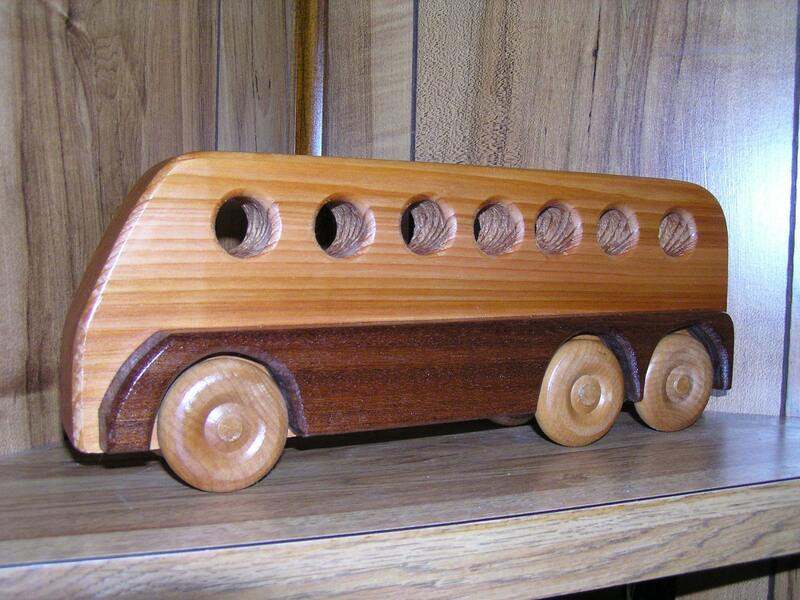 THE WHEELS MOVE AND ARE RECESSED BEHIND WHEEL WELLS. 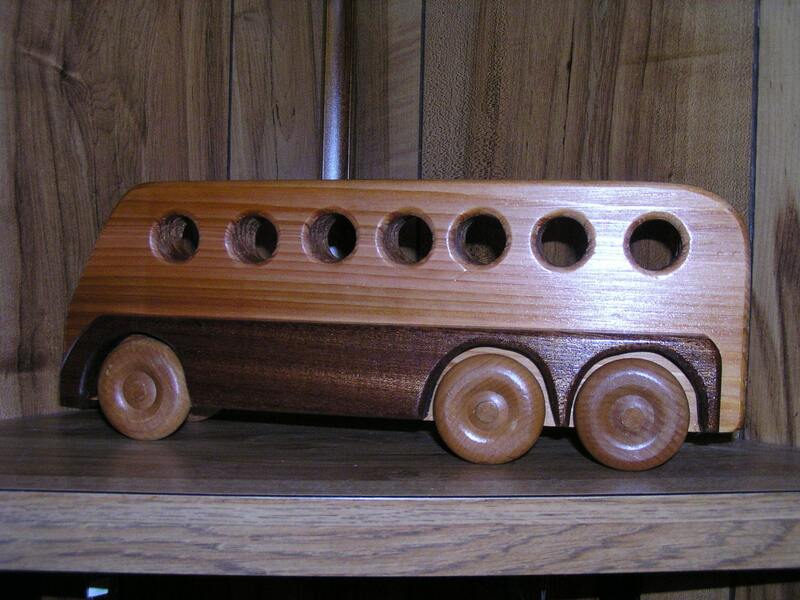 THE BUS MEASURES 13.5" LONG, 3" WIDE AND 5" HIGH. IT IS FINISHED WITH NON-TOXIC, ECO-FRIENDLY OILS AND LACQUER - MADE TO LAST A LIFETIME. 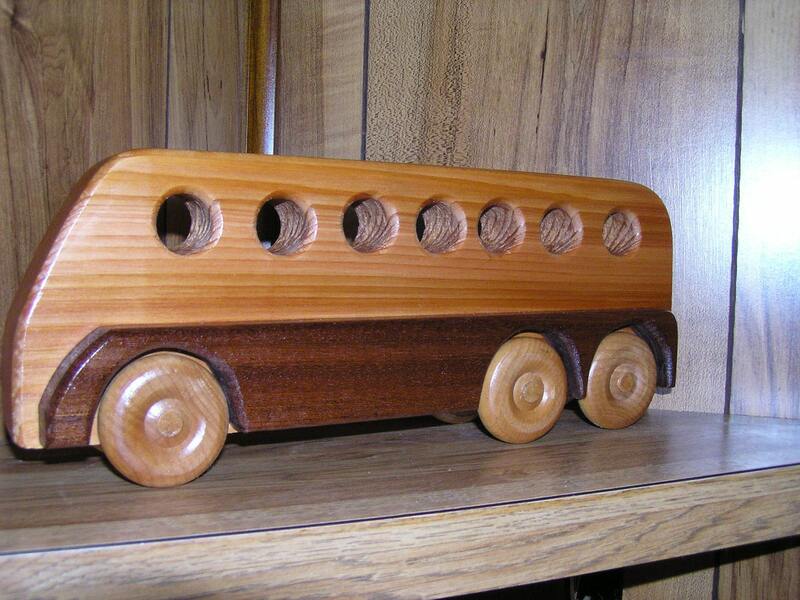 THE WOOD NOOK WOULD BE HAPPY TO CUSTOMIZE IT WITH YOUR CHILD'S NAME, DATE OF BIRTH OR WHATEVER ELSE WOULD MAKE THIS SPECIAL, WE WOULD BE GLAD TO CUSTOMZE WOOD TYPE - AROMATIC CEDAR, MAHOGANY, CHERRY, TEAK, CYPRUS AND MORE. CALL US WITH ANY QUESTIONS AT (401) 258-2157 OR (941) 773-7246 OR EMAIL US AT thewoodnook [!at] aol.com. VISIT OUR SHOP THE WOOD NOOK ON ETSY.COM TO SEE OUR COMPLETE LINE OF VINTAGE HEIRLOOM PIECES.